I like to try to use up all of my food as soon as possible. This can be hard when you’re cooking for one. Especially those recipes that uses a ton of veggies, because you never need them all! The key, I’ve found, is to make one “main” dish once a week, with several smaller side dishes to fill in throughout the week. I know this won’t work for everyone, but it works pretty well for me. On Monday night I made the best veggie curry pot pie. I mean delicious. But I had cauliflower left over as well as some carrots and onions. 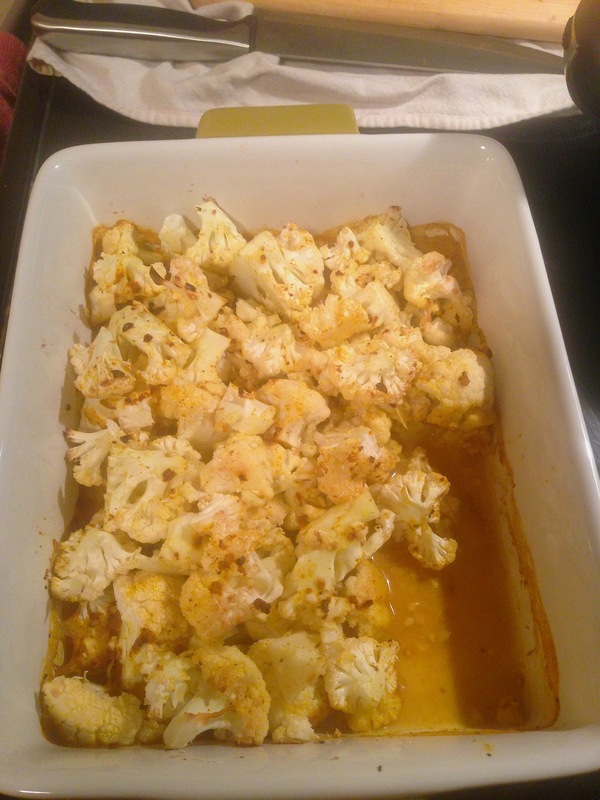 With the cauliflower, I made a curry coconut side dish (above). Mine looked nothing like theirs! No clue why. It tasted good, though, with a spicy kick. I like curry a lot, so this wasn’t too much curry in one week for me, but you could do a quick Pinterest search and find something totally different—like cauliflower mac-n-cheese. Yum! Next up I’ll be making these spicy maple roasted carrots. Then I’ll just have to figure out something to do with the onions and the extra pie crust. I’m thinking a berry pie for the crust and adding the onions to the leftover dressing I have in the freezer. Basically, my advice is get creative and try to use everything in your fridge each week. Occasionally, I’ll have a Sunday night where I try to use up all my leftovers in a soup or casserole. So many options, so few meals!